You have reached the decision to sell your home. Perhaps, you are relocating for work or found your dream home elsewhere. No matter the reason, parting with a home isn’t easy. We have put together a room-by-room guide to help you discover how to add value to your home before selling. Before discussing how to add value to your home, it is vital to determine your budget. There are two important steps that you will need to take prior to making any home improvements. The following steps will ensure you get a return on your investment. First, check the ceiling price for your area through Zoopla. It is useless to invest £30,000 on a £400,000 property if the street’s ceiling price was £415,000. The ceiling price indicates the maximum amount you can spend on adding value to your home before selling. 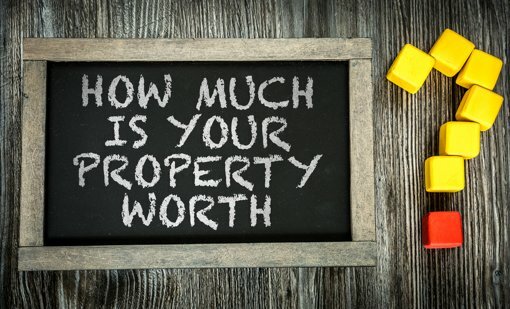 Second, find out what your home is currently worth. You can get free quotes through websites such as Fast Sale Homes. This will give you an idea of how much value you can add before exceeding your ceiling price. How much value does a loft conversion add? Loft conversions are popular for homeowners who want to increase property value. 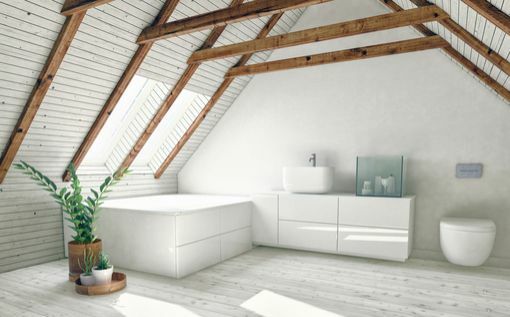 According to Nationwide Building Society, converting your loft into a ensuite bedroom can add over 20% to a property’s value, making it one of the best ways to add value to your home. How long will a loft conversion take to complete? The timeframe for a loft conversion can vary depending on the type; ranging from a simple velux loft to an urban mansard conversion. The timescale usually lies within 4 to 8 weeks. Although, planning can be a lengthy process and could add months to your timeline. 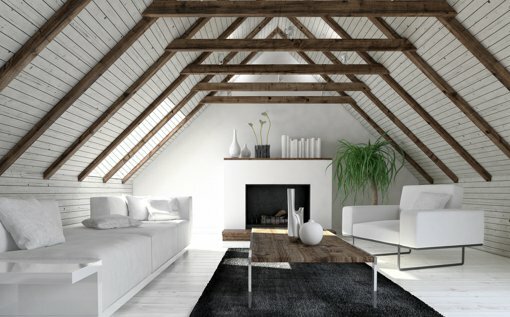 Does your loft qualify for a conversion? 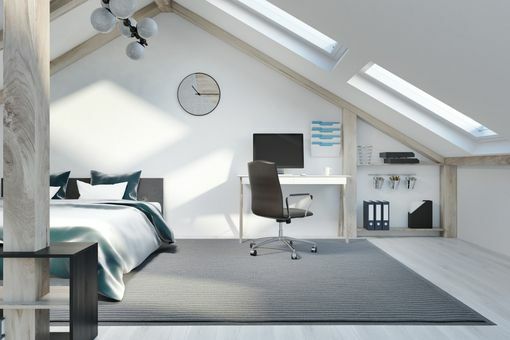 Before you start dreaming about your ideal loft bedroom, not all properties meet the requirements for a loft conversion. Therefore, we recommend you talk to a loft specialist first. Also consider your attic ceiling’s height, how you will access the loft and the roof structure. Does an en-suite add value to your home? 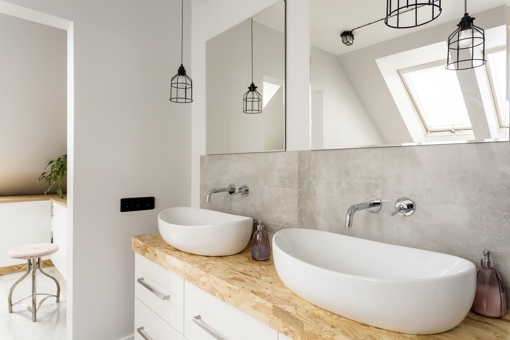 It may be worth adding a bathroom to your loft in order to reach (or exceed) the estimated 20% value. Fast Sale Home clients often ask, “Does adding an ensuite add value?” An en suite can add 5% to your home. Therefore, it will add value to your home before selling. Giving your kitchen a makeover, adding a value of 5% to 6%, is one way to add value to your home. Kitchens offer a make or break scenario for your potential buyer. For this reason, careful consideration must be applied when choosing kitchen refurbishments as individual tastes will vary. 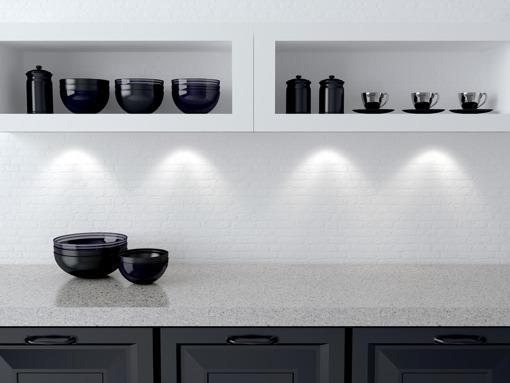 With that said, according to a report by Trend-Monitor, the UK luxury kitchen market is currently accounts for over 32% of the total kitchen market spend and is expected to continue rising. Renovations geared toward this market could significantly improve your home’s appeal. The typical total budget of a luxury kitchen starts around £40,000. However, there are plenty of affordable ways to give your home the much-sought-after, modern and luxurious makeover. There are options for every budget. Read on to learn how to add value to your home before selling. Refreshing tired walls with paint is an excellent way to transform the kitchen on a budget. Choosing neutral and light colours, particularly white, helps the room appear larger. This is one of the easiest ways to add value to your home before selling. Without spending too much, you can update your taps and sink with modern features. These small touches immediately upgrade your kitchen! The average UK sink installation costs between £350 and £450. Splash-backs come in many colours and styles. For example, high gloss white, beige or grey. Some modern kitchens add splash-backs above all the countertops, rather than restricting its use to the hob. Glass splash-backs could also add value to your home before selling. Lighting is an essential investment for your home. Add natural lighting if your budget allows. Yet, there are budget-friendly options. 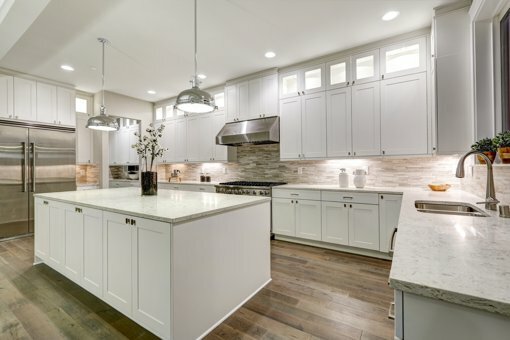 For example, task lighting above countertops, your hob and pendant lighting above your kitchen island will add value to your house before selling. Many modern kitchens no longer have cupboard handles. However, this is not the case for every home. A new colour scheme could be incorporate through the types of handle you use. For example, a bonze gold colour could add a touch of luxury. It’s a cheap way to add a five-star finish to your kitchen. Add storage above your fridge. If you have a big kitchen you can add a kitchen island, however, be careful not to overcrowd the room. Invest in a washer/dryer, rather than having separate appliances in your kitchen, this will give you more space for shelving. Floating shelves may be your friend, or alternatively, invest in floating cabinets to keep the kitchen tidy. Look up, do you have excessive head space that could be converted into a loft style storage solution? An outdoor office is a fantastic way to help your property stand out and can add an additional 5% value. A converted shed or purpose-built outhouse is an easy selling point for many house hunters and can be a great way to add value to your home before selling. The 2017 Flexible Working Survey: Practice and Participation revealed that 62% of employees feel that flexible working will become more important to them in the future. 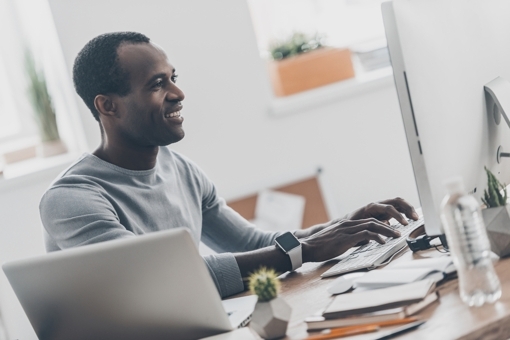 With 74% employees offering flexible working, prospective buyers will consider whether your home provides comfortable space to work from home. Garden buildings are not limited to office use in order to increase your property value. Consider optimising the space for a private gym, art studio or transform it into a children’s playroom. If the garden building is an office, too many windows may make the room uncomfortably hot. Limit the lighting to double glass doors or invest in air conditioning. If you want to know how to add value to your home before selling, choose a structure which provides flexibility to the buyer. 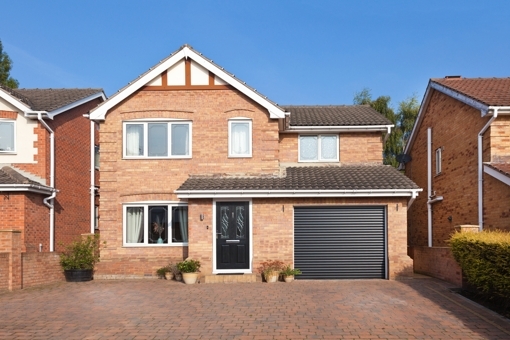 How much value does a garage conversion add to your house? Converting a garage into another bedroom or living room is a very cost-effective choice which could add 5% to your home. The standard price tag is between £4,995 and £7,000 in comparison to a 3×5 metre extension at resting at £15,000. With only 22% of car owners using their garage, converting this space has become quite common. Often, car owners will park in the driveway or on the street. 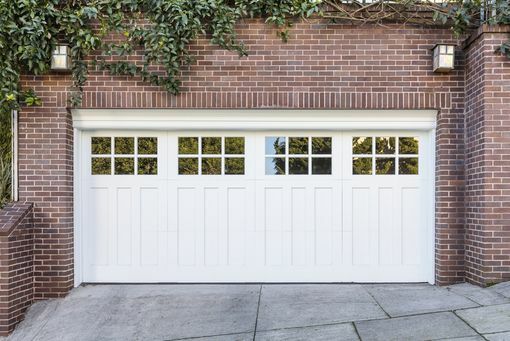 With this in mind, getting rid of your garage may add value to your home before selling. What is the best use for your garage? Adding a bedroom increases the property value by 9-10%, which makes for a favourable decision. Kitchens and bathrooms will require a higher budget due to plumbing and pipe installation. Other perks for a garage conversion include: often no planning permission needed, budget friendly and you don’t need to build new walls or lay new foundations. 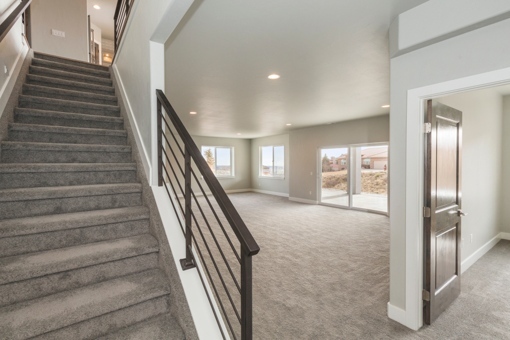 If you own a double-garage, why not convert half of this space? One final word of advice, we recommend keeping a parking space outside your house. Our answer to the question “how much value does a driveway add to your home” reveals the importance of off-street parking. Creating a basement is one of the most expensive options and is not always worth doing. There are structural considerations to factor in and it is important to refer back to the ceiling price. Check whether a basement will exceed the ceiling price for your area. Concerns may include (excluding cost): planning permission, basement flooding, restricted working hours for the builders (increasing completion time) and disturbance to neighbours. Families living at home may need to consider how intrusive the process can be. You may need to move out for several months. However, adding a basement can increase the overall size of your property which will increase the value of your home. 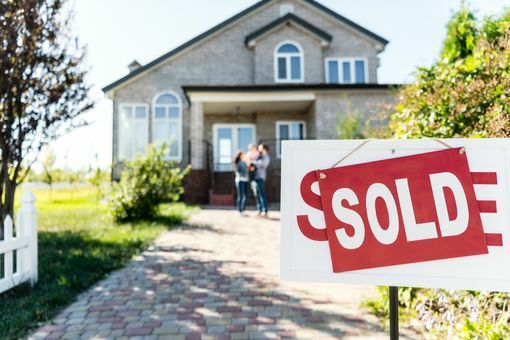 No matter whether you are ready to pay big bucks or simply want to know how to add value to your home before selling through some minor upgrades, we buy any house in any condition. You can find our contact details here or chat to a member of our staff at 0800 078 9582.